Provide you with an easily accessible welcome area and a space of information. To offer you of the furniture to sit down. To inform you free of charge about the local tourism offer. Show and spread its periods of opening expressed in two foreign languages at least. Assure a permanent reception service held by the staff practicing two foreign languages. Assure the supply of walking maps, plans and tourist guides on paper base. - In all the classified tourist accommodations containing at least the name of the establishment, mail coordinates, E-mail, the web site, the phone number, the level of the ranking. - about monuments, touristic and cultural and natural areas which can contain the indication of the price rates of use, periods and opening hours to the public, of the web site and the telephone and post. - About the events and the animation. - About the emergency telephone numbers. Update annually its touristic information. Provide you with an adviser in stay. Guarantee the reliability and the current events of the information about the local touristic offer. 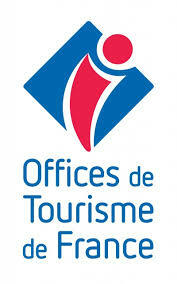 Update the data of the touristic offer of its geographical zone of intervention.